Massive hemoptysis is a serious and potentially fatal complication of a variety of medical conditions. Respiratory distress, hypoxemic respiratory failure, and asphyxiation can ensue if hemoptysis volume exceeds the capacity of the patient to clear their central conducting airways. Initial management should be to secure adequate oxygenation and to identify the hemoptysis source. While systemic medical conditions can cause massive hemoptysis, more commonly local pulmonary structural problems underlie the hemoptysis etiology. Rapid intervention including securing an airway with rigid and/or flexible bronchoscopy to identify laterality of bleeding, positioning the patient with bleeding lung down, and initiating temporizing measures such as balloon tamponade, single lung intubation, and/or other maneuvers to control bleeding can stabilize a patient. Following stabilization, definitive intervention with arterial embolization should be pursued to control the bleeding source. If embolization is unsuccessful or not immediately available, surgical intervention can be undertaken to identify and control bleeding; however, in this urgent setting, the surgical morbidity and mortality is substantial. 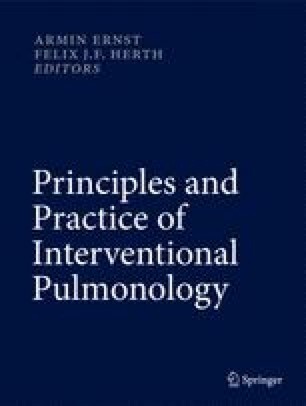 A multidisciplinary approach for massive hemoptysis management incorporating pulmonary/critical care, interventional radiology, and cardiothoracic surgery expertise can ensure optimal management and patient outcomes.